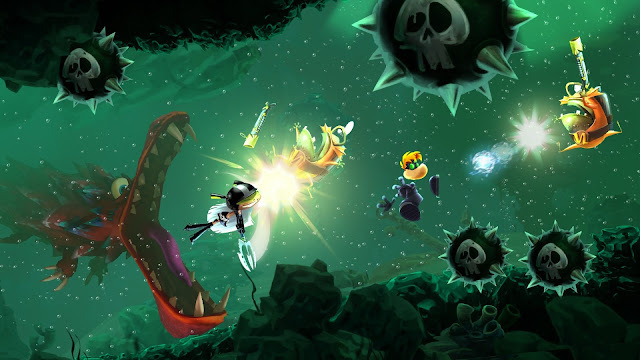 Rayman Legends was an exceptional game when it released back in 2014, earning a coveted 90+ Metacritic score and the adoration of platforming veterans and casual gamers alike. 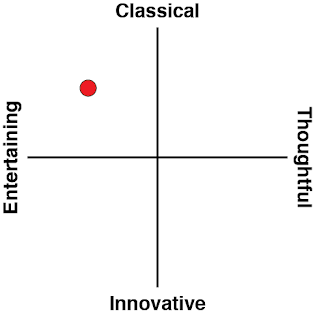 As much as it was a triumph, its protracted development cycle and modest commercial performance meant it faded largely from the public eye. Now re-releasing as the Definitive Edition for the Switch, does the platformer hold up alongside a system much more attuned to pick-up-and-play sessions? Related reading: Our first review of Rayman Legends, from back on the Xbox 360. First of all, let’s get the issue of content out of the way. Rayman Legends wasn’t a short game when it first released, but its world and level based format meant it could’ve gone on forever and nobody would have complained. I’m sure that fans of the game would’ve loved to see more levels added in this version, but unfortunately what you get now is what you got before. The game does boast all the DLC and platform exclusive character skins from the previous releases, so there’s lots of stuff to unlock as the game progresses. The Definitive Edition also adds a Tournament Mode to the overexcited football minigame Kung Foot, which is great but that game mode serves as little more than a distraction to the main game. It might be best to dial back expectations of bonus, exclusive content, because Rayman Legends: Definitive Edition is a port and not much more. The game is, however, vastly improved thanks to the capabilities of the Switch. 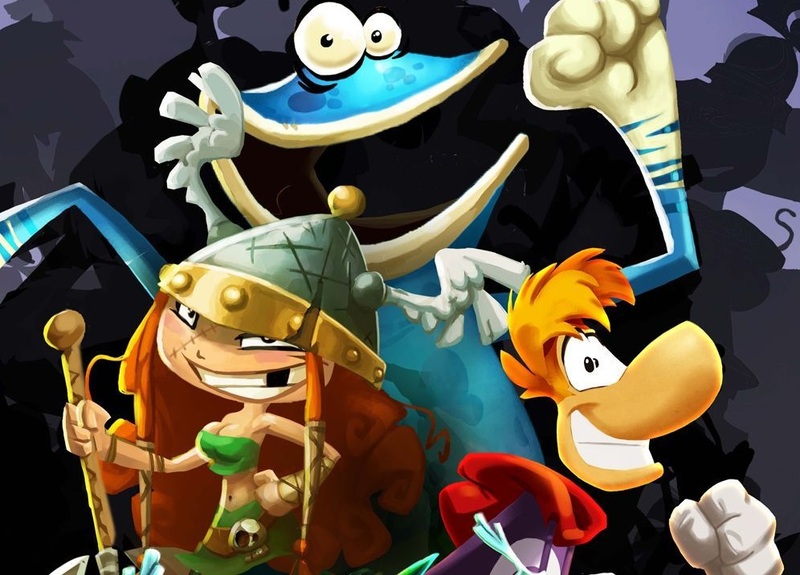 Rayman Legends is well suited to short bursts of play, with levels ranging from five to 15 minutes long, so being able to play it on the go is a huge plus. The whole game is able to be played in two to four player co-op, which again is helped by the fact that the Switch always comes with at least two controllers in tow. This is a wonderful experience to be shared, and it’s a whole lot of fun to see something for both new players and platforming veterans. Aside from these aspects, Rayman Legends: Definitive Edition retains all the best parts of the original release. The main game contains five worlds worth of levels, each with lots of collectibles and hidden secrets. The level design is some of the best I’ve ever seen in a platformer – levels are mostly linear but focus on the flow of running and jumping, with animations working alongside super responsive controls to create a system that feels amazing to the touch. 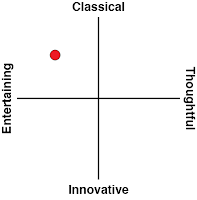 Levels are also visually and mechanically distinct, and players are sure to have favourites by the end, whether it be the one with the floating watermelons, or the one with the giant sea centipedes, or the one that’s a straight bottomless pit freefall. All of this is largely thanks to the UbiArt engine, which really streamlines the work between artists and level designers in order to make games like Rayman Legends or Valiant Hearts a reality. The crisp animations, lush backgrounds and sheer inventiveness of this game is sure to make you fall in love with platformers all over again. There’s just so much personality, from the way Rayman backflips if you nudge the controller at just the right time, or the little animations enemies do if they don’t notice you, or the super sly ways that levels hide their bonus rooms. These graphics look amazing both on the Switch screen and on the dock, which is a testament to the fantastic port job. 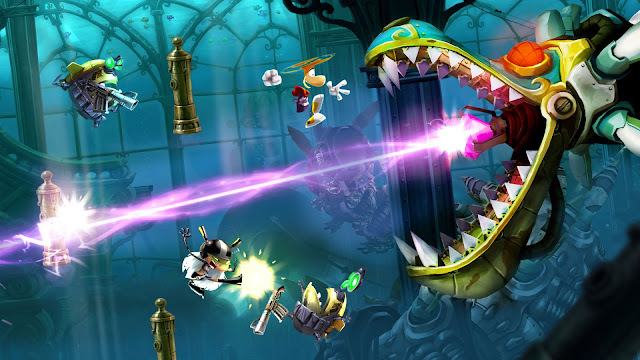 Rayman Legends is also well known for its metagame, featuring everything from collectibles, unlockable bonus levels and player character skins. Levels can be tackled in nearly any order, depending on how many Teensies the player rescues in the previous levels. Bigger levels have 10 Teensies to find while smaller ones have three, but they’re hidden well enough that it’ll take you a couple of runs to seek them all out. Levels also have little sprites called Lums scattered everywhere, and depending on how well you collected them you can nab yourself some shiny trophies as well as scratchcards. These bonus cards can unlock Creatures in a gallery, as well as levels ported from Rayman Origins. There are roughly 400 Teensies to be found in the main story, another 200 in the Rayman Origins levels, and another 100 in the Murfy’s Touch levels, which remix the existing levels with touch-screen activated prompts. I found the game to work best when in motion, so the moments where you need to stop and tap or drag in Murfy’s Touch worked a little against the game’s overall design. There are also bonus levels which require players to beat them within a strict time limit, as well as some challenge stages set to music. 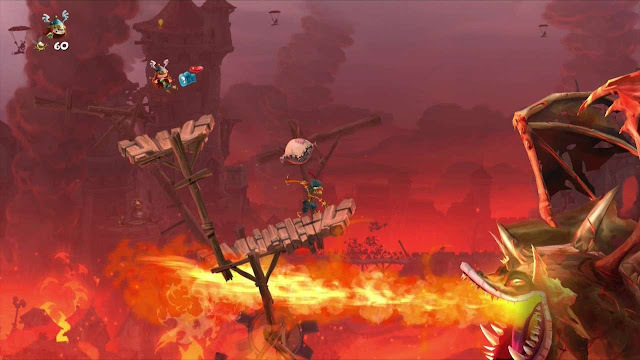 The latter are some of the most creative moments I’ve ever seen in a platformer – if you’ve played something like Bit Trip Runner or Harmoknight, the rhythm levels in Rayman Legends will blow your expectations out of the water. There’s so much to do and see in this game that dedicated players are sure to have a field day, and casual players can enjoy everything at a slow pace any way they like. For the more competitive players, there are also daily and weekly challenges, pitting players against other Switch owners in order to get the best times for certain levels. Getting in a certain percentile makes you eligible for a bragging rights trophy, and it’s surprisingly compelling to keep checking back to see if you’re still topping the leaderboards. These challenges seem to be console specific, which is good since we won’t likely be seeing a lot of cheaters on the Switch of all places. One thing that is lacking from this release compared to the consoles is achievements. Normally this is a trivial point, but Rayman Legends is so focused on unlocking things and finding hidden Lums and Teensies that at the end you really do itch for some recognition outside of the game itself. The game is still very fun on its own, of course, but I’m sure there will be some who miss the progress trackers and shiny badge to show off. With stellar gameplay, wonderful art and a superb soundtrack, Rayman Legends is one of the best platformer games ever released, hands down. The gameplay is so varied and so kinetic that it’s easy to lose hours playing this game, grinning the entire time. As for the Definitive Edition, we could complain about the lack of new content all day but when the base game is so spectacular, I’m sure it will stand the test of time and be remembered fondly by its fans. If you’ve not played Rayman Legends before and you’re wondering if the Switch version is a good place to start, the answer is a big resounding “yes”. And if you’ve played it before, and you’re considering if you want to play it all over again, I can imagine the answer would likely also be “yes”.